Life is way more interesting that we thought. The exact moment where we can pinpoint the origin of complex life has long been a complicated question in itself. The fossil record has given us important information as to the approximate timeframe of when multicellular organisms began to appear, but estimates are still extremely far-reaching. What we find is that our long-standing definition of this particular moment in time is constantly being reevaluated. Researchers at the Nanjing Institute of Geology and Paleontology recently uncovered fossils belonging to multicellular eukaryotes that were traced back to 1.5 billion years ago. An even more recent discovery places the clock even further back at two billion years – with a different culprit responsible for the precise onset of complex life. Discovered by a team of scientists led by Thijs Ettema, the microbes belong to a group they dubbed ‘Asgard’ (yes, the same kingdom from Norse mythology). Although they have never actually been seen in real life, their DNA has. To understand how crucial the Asgard microbes are to understanding the evolution of humanity, we must look at it from the very beginning. When the Earth was formed 4.5 billion years ago, life existed as single-cellular units within two domains: bacteria and archaea. Approximately 2 billion years later, the domain Eukarya appears. Eukaryotes are multicellular organisms that evolved rapidly over time and gave way to the animals, fungi, and protists that we see today. Somehow in the biological tree of life, there must have been an event that created these eukaryotes, and no one could pinpoint how they got there. What was widely believed was that an archaeon and a bacterium fused to create a symbiotic relationship. Essentially, the archaeon became the early eukaryotic cell, and the bacterium became the mitochondria – the cells’ powerhouse. From there on, others discovered similar DNA strands that were related to Lokiarchaeota. A team at the University of Texas in Austin names theirs “Thorarchaeota.” Their findings are published in The ISME Journal. So far, we have Lokiarchaeota, Thorarchaeota, Odinarchaeota, and Heimdallarchaeota. 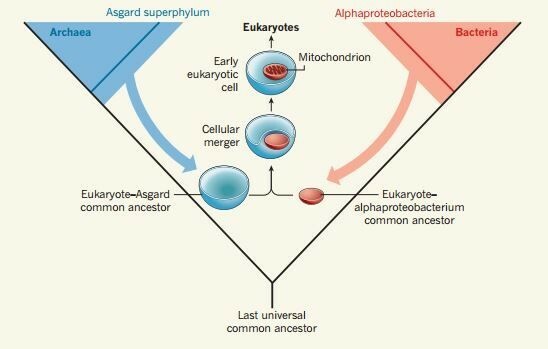 Together, they make up the group Asgard, the first eukaryotic organisms that we are believed to be direct descendants of (or at least close relatives). With all theories on the origin of complex life comes skepticism. Some believe that eukaryotic building blocks were already present in our archaeal ancestors and that they had the right parts to later become a eukaryotic cell. With no one having witnessed an Asgardian microbe, this debate continues. The quest for the origin of complex life on Earth brings up another enduring question: What about life outside of our planet? Under similar conditions to that of primitive Earth, experiments have been able to produce chemical components of proteins, DNA, and RNA. Some of these molecules have also been found in meteorites and interstellar space using radio-telescopes. 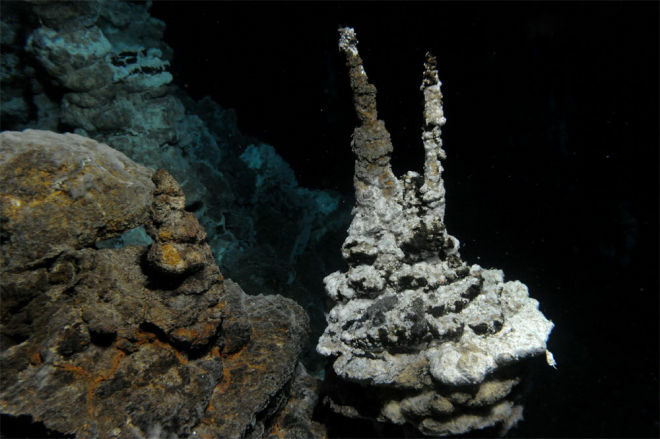 The findings have led us to believe that these building blocks of life could have existed on Earth since its beginning. The possibility of these molecules being present elsewhere within our universe does not seem so farfetched. What Can 2 Billion-Year-Old Water Teach Us About the Origins of Life?